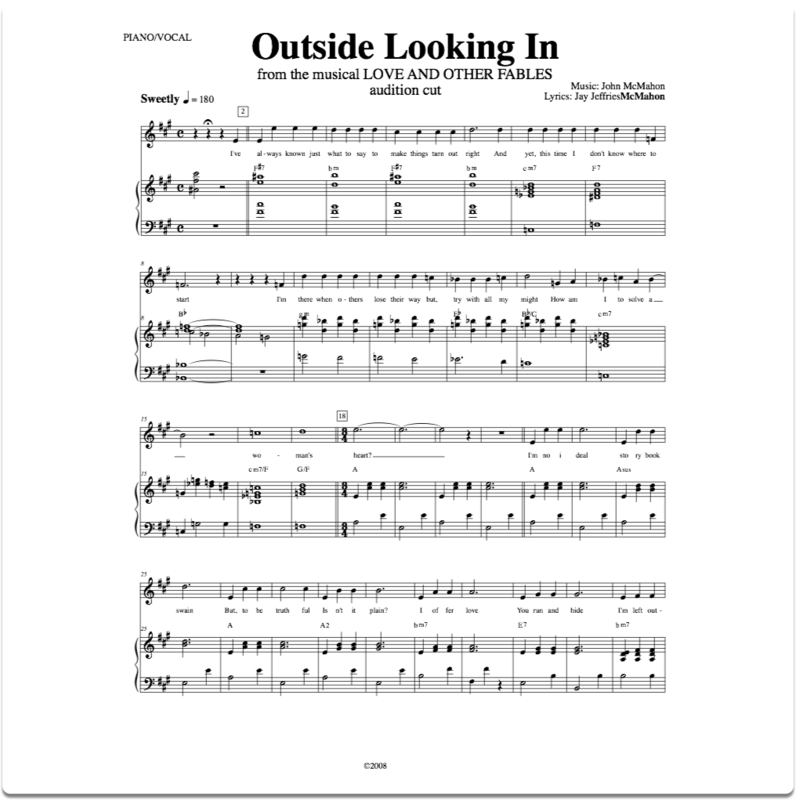 "Outside Looking In" from the musical LOVE AND OTHER FABLES by John McMahon and Jay Jeffries. 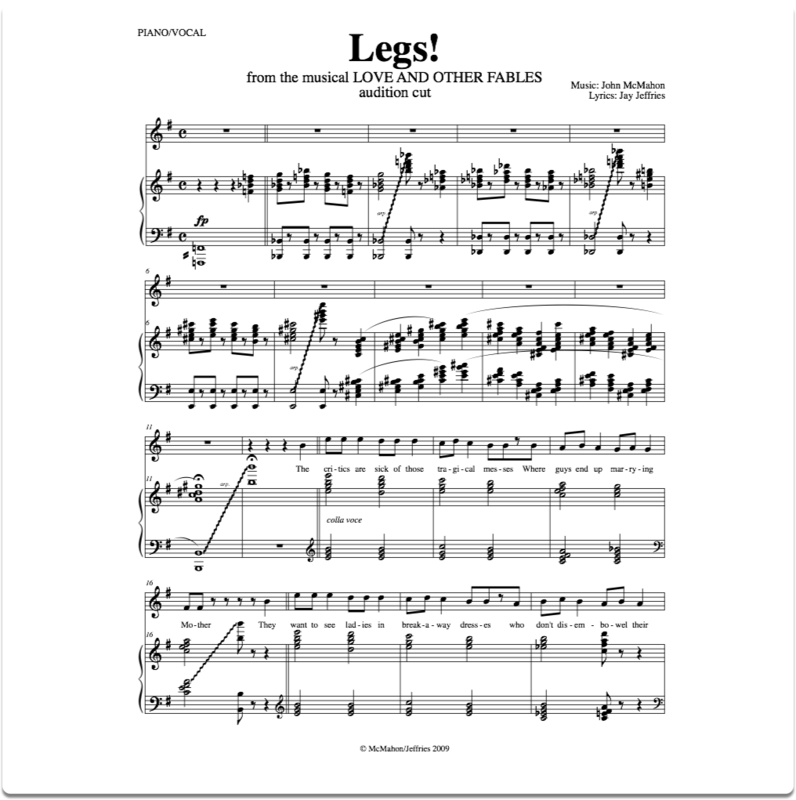 LOVE AND OTHER FABLES is a new, completely original “Screwball Romantic Musical Comedy”- a love letter to the Golden Age of Broadway in the tradition of BOYS FROM SYRACUSE and A FUNNY THING HAPPENED ON THE WAY TO THE FORUM. In this madcap imagining of his life, we watch the then unknown Aesop create his eternal fables, woo the headstrong girl of his dreams, defend King Croesus and his wealth by untangling the mind-boggling conundrums of The King of Egypt and ultimately become the unlikeliest hero of the greatest fable of all. There are mistaken identities, love and hate at first sight, declarations of war, death and taxes, international imbroglios, tap-dancing Greek soldiers, one impatient Egyptian and, of course, a wedding. 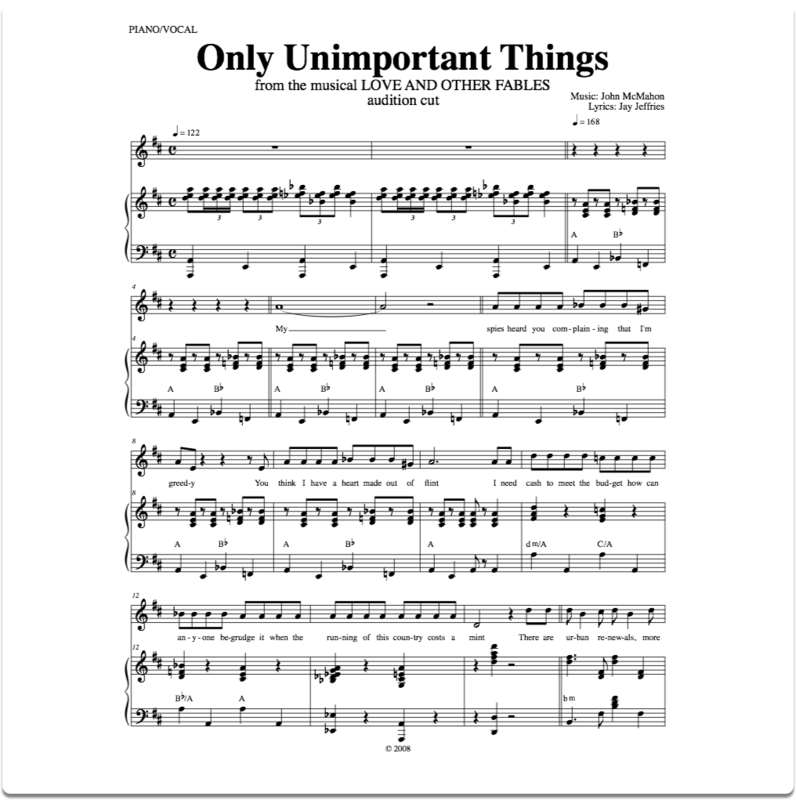 "Only Unimportant Things" from the musical LOVE AND OTHER FABLES by John McMahon and Jay Jeffries. 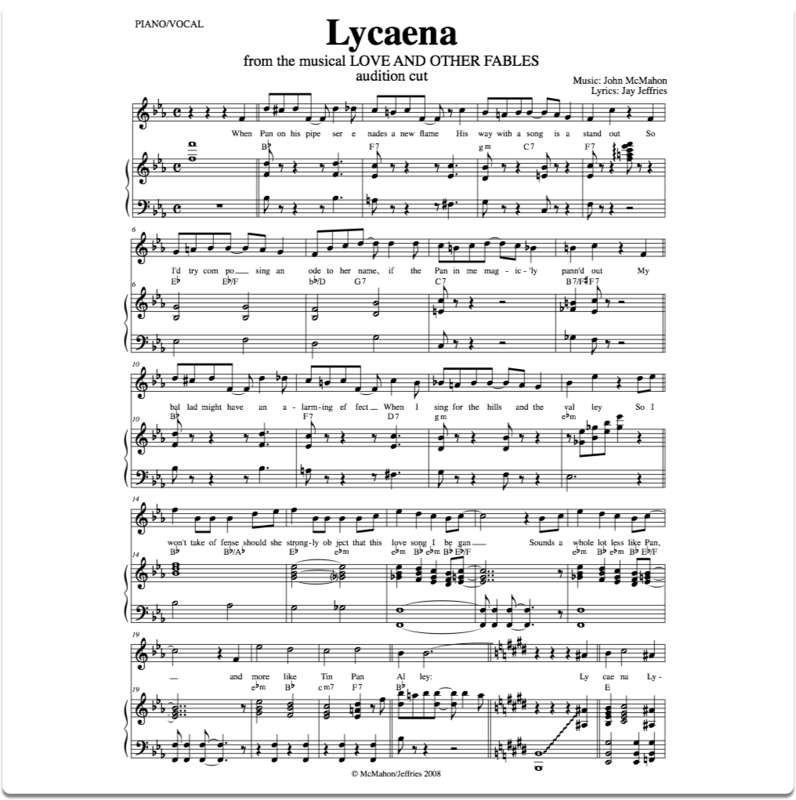 "Lycaena" from the musical LOVE AND OTHER FABLES by John McMahon and Jay Jeffries. 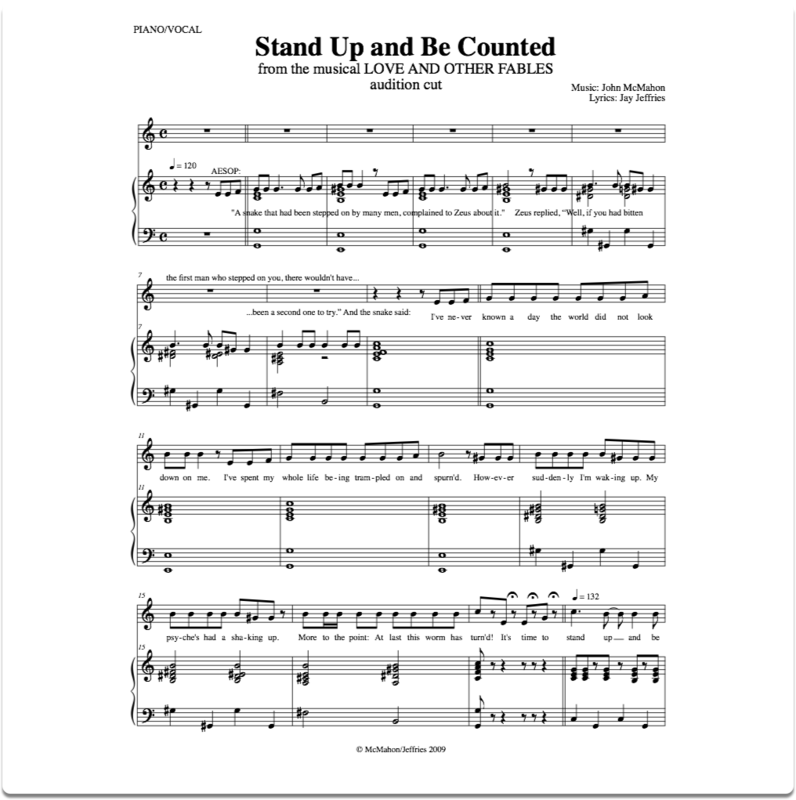 "Stand Up And Be Counted" from the musical LOVE AND OTHER FABLES by John McMahon and Jay Jeffries. 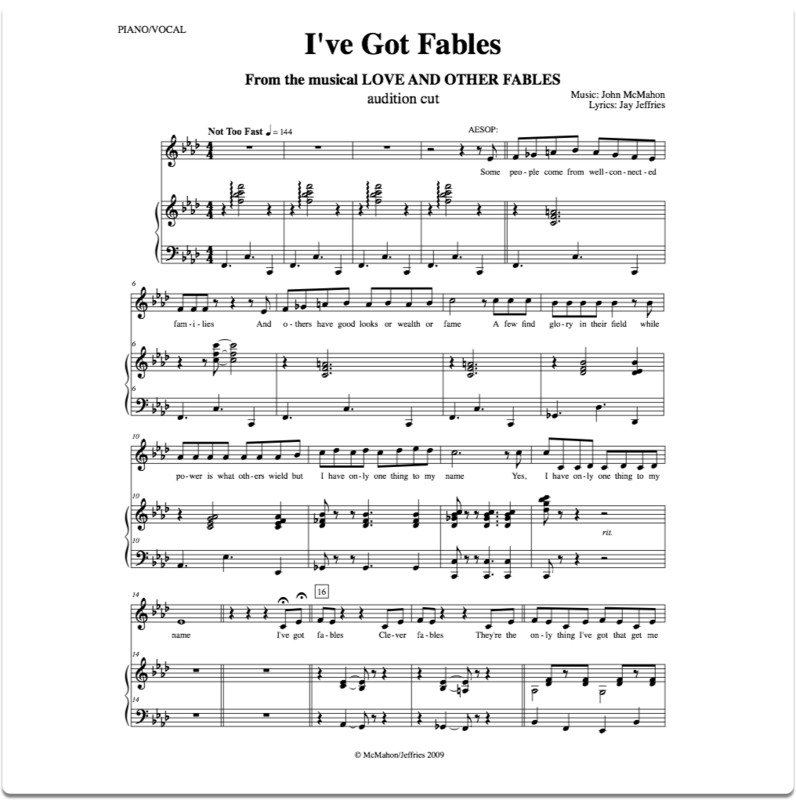 "I've Got Fables" from the musical LOVE AND OTHER FABLES by John McMahon and Jay Jeffries.